The project has implemented innovative strategies with an impact on English language learning in an intercultural approach. 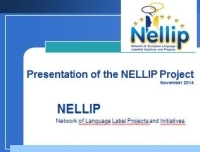 This project has developed a language teaching model based on the implementation of intercultural communication, supported by ICT and in a collaborative and cooperative environment within a trans-cultural framework. It has also contributed for promoting a critical and intervening citizenship. The innovative characteristic consists of its curricular integration as a strategy to the teaching of foreign languages and in the implementation of the collaborative trans-cultural work. In the framework of the project a pedagogic handbook has been developed for professional courses. The project has also presented another perspective, consisting in showing to many teachers the ICT pedagogical potential and its efficiency in the improvement of the learning process, seeking an answer to the problem of unsuccessful foreign language learning. This project also served to test the impact of the implementation of a eTwinning project, based on collaborative work and in the intercultural communication. 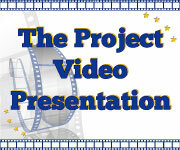 To accede to the results of the collaborative work please contact the project coordinator.